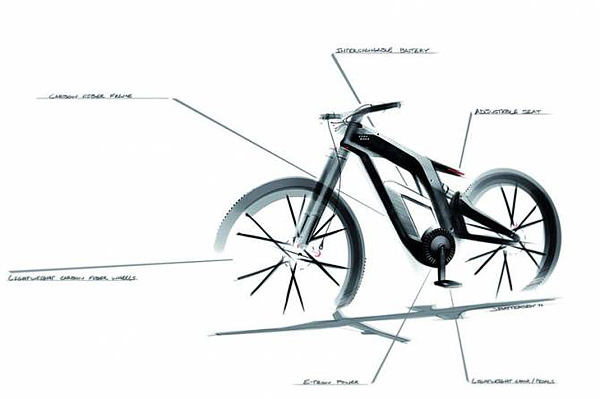 We have earlier seen some of interesting models of e-bikes like Electric Bike PiCycle LTD by Pi Mobility. 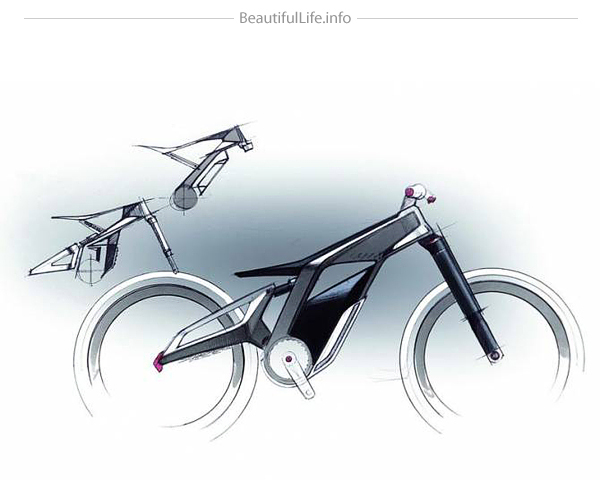 But today we will show you bike with exclusive design by well-known brand Audi. 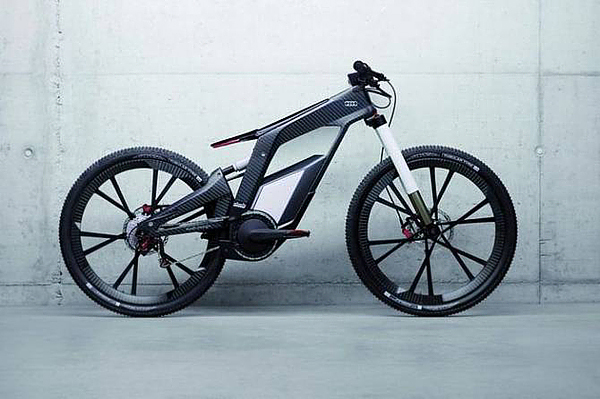 The Audi’s e-bike Wörthersee looks futuristic at the very first glance and it’s neither a conventional bike nor a pedelec, but is best described as Audi’s high-end pedelec made for fun, tricks and sports. 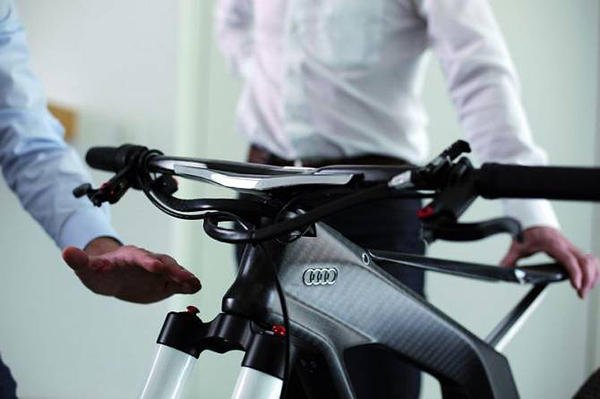 “The Audi Wörthersee is a bike for tomorrow and beyond; all its components, including the pedals even have been shaped by the master Audi designers. 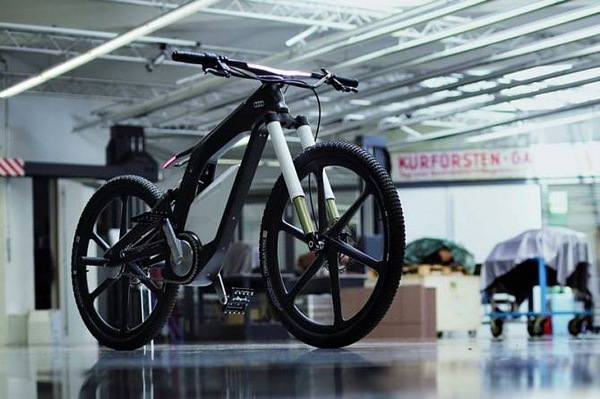 With its radically-light carbon-fiber frame that weighs only 1.6 kg and wheels made from CFRP that weighs only 600 grams, it is described to be one of the lightest e-bikes with an overall weight of only 21 kg. 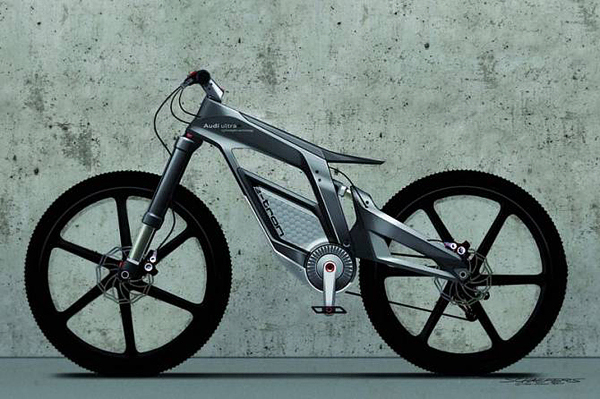 In all, the e-bike Wörthersee exemplify the full-extent of the Audi’s expertise in ultra-lightweight construction. 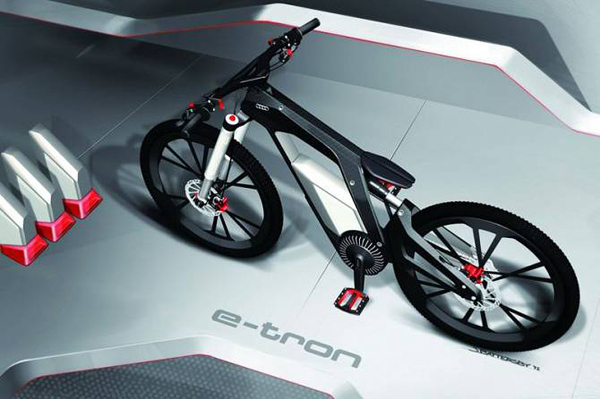 Further, this e-bike also sports on-board computer which is located in the frame top tube and is operational using a touchscreen. 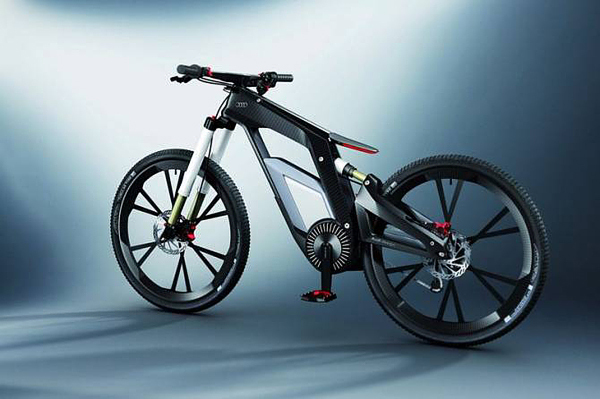 Among the various functions, it provides recording trick sequences, riding mode selection and adjustments of various e-bike functions. 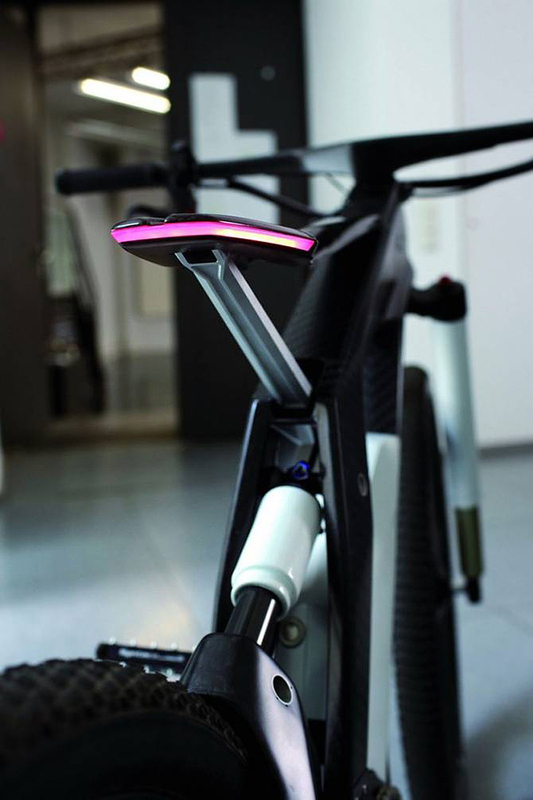 Also, the rider’s smartphone communicates via WLAN with bike’s computer.” Awesome bike! Don’t forget to check more folding electric mini bikes. Wow! This bike is so cool!! !